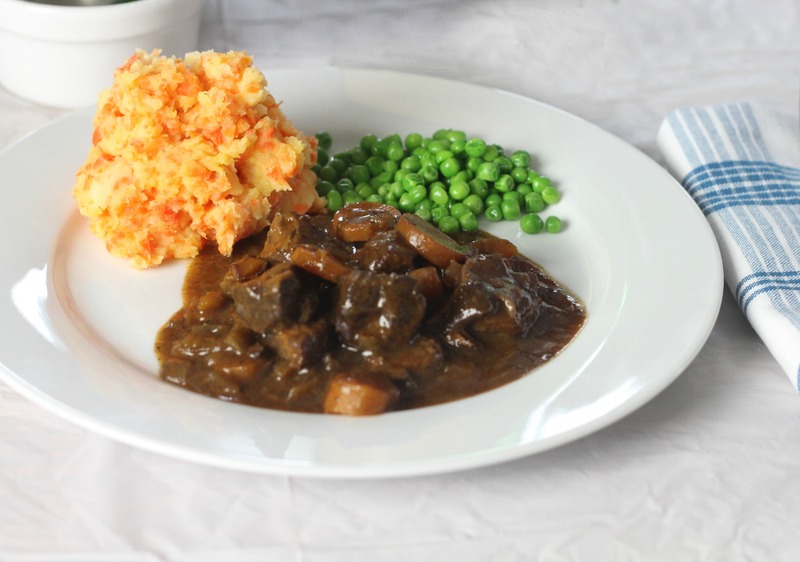 Simply Beef and Lamb are encouraging us to make more stews and one pot dishes as part of their #LivePeasant campaign. This simple and rustic style of cooking is all about reverting back to proper good old fashioned cooking. Inspired by the current ‘Peasant Food’ trend, which is very popular with chefs and restaurants around the world. The campaign wants to encourage us to eat hearty, rustic and wholesome home cooked food. Food which is made in one pot which not only saves time, but, of course, washing up too. For so many of us, time is a precious commodity. Therefore, any time saving measures are welcome. To be able to cook a meal in a slow cooker (or a casserole dish) slowly and forget about it, leaves time for other life priorities such as work, looking after the kids, housework etc. Therefore, to #LivePeasant at least once a week and cook a one pot meal using Simply Beef or Lamb, is a great way of feeding your family cheaply and easily. Last week I shared with you my one pot Slow Cooker Beef Chilli , but this time I thought I would make a dish which features a lot in my house, a beef stew. Sometimes I use red wine, or Guinness, but ale is also a good flavour for beef making a tasty gravy and aiding the beef in its tenderness. Now ‘technically’ this dish is a two pot meal because before I cook the dish in my slow cooker, I brown the beef in a pan on my hob first, and add the ale and some other ‘gravy’ ingredients to bring to a boil to help thicken the sauce. This only takes 5 minutes and it really does help with the overall flavour of the finished dish. As with all slow cooked meals, the beef ends up being incredibly tender and full of flavour, and cheaper cuts can be used too. 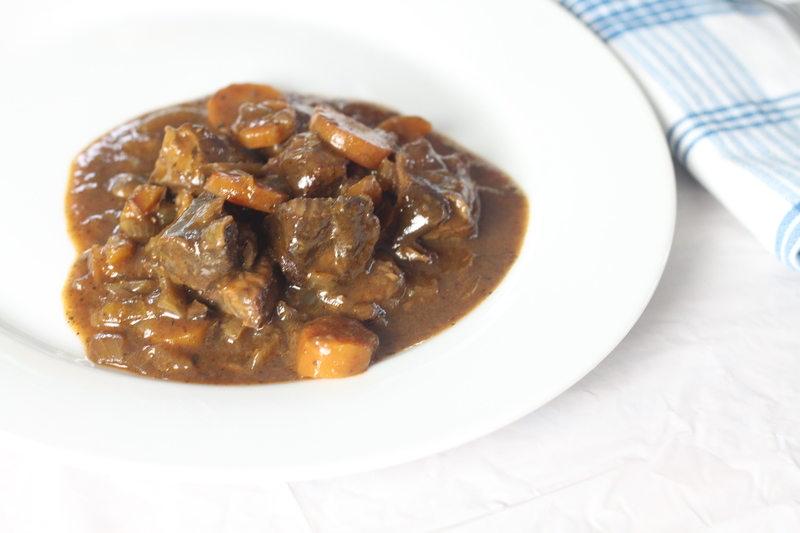 For this stew I used stewing beef, which I easy to find and buy. In fact I bought mine at my local Tesco, which has a great selection of Red Tractor labelled cuts of beef, perfect for this type of stew. 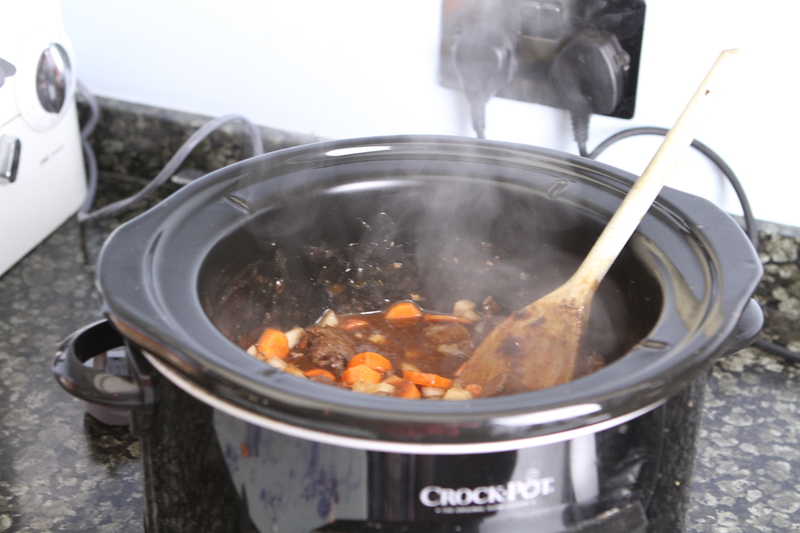 If you do not have a slow cooker, you can follow my recipe up until the pouring the contents into the slow cooker part. Then pour into a casserole dish instead. Next cook it in the oven for about 2 1/2 – 3 hours on 180°C / Fan 160°C until the meat is tender. I like to serve our stews with some mash. I either just use potato or potato, swede and carrot (as pictured here – a sneaky way of getting more veg into my family!) alongside some peas, which I always have in my freezer. 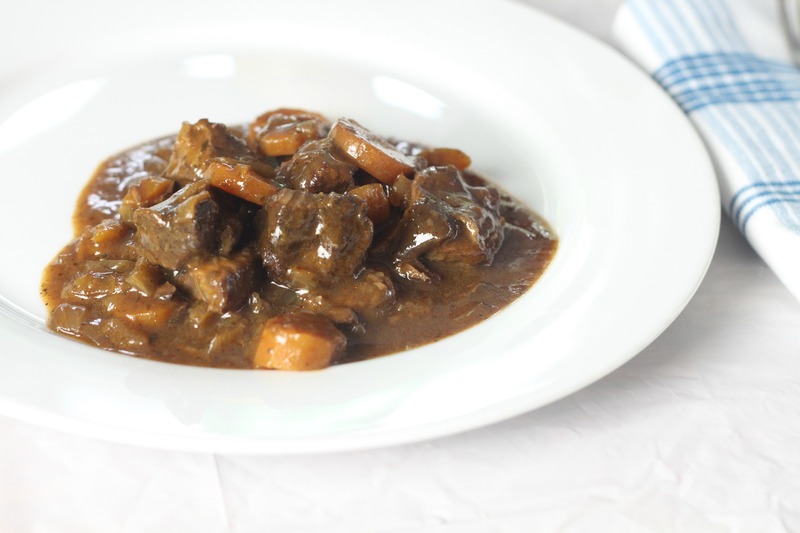 This stew serves 4 adults or 2 adults with 2 fussy children, with enough for one leftover portion the next day! Allow to boil for a few minutes. then add the water, sugar, the herbs, tomato puree, garlic and the black pepper and stir well. Simply Beef and Lamb support both the Red Tractor Mark and the Quality Standard Mark for beef and lamb. Therefore, you know that if you buy meat with these slogans, you are buying good quality, British meat. I was commissioned to write this post and create the recipe which is my own.